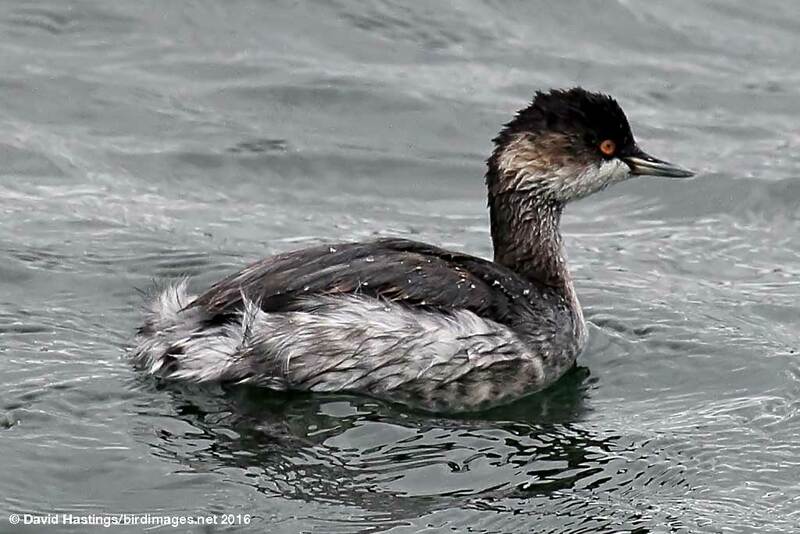 Black-necked Grebe (Podiceps nigricollis). Summer plumage. Taken at Farmoor, Oxon., on May 13th 2018. Summer plumage. Taken at Farmoor, Oxon., on May 13th 2018. Black-necked Grebe (Podiceps nigricollis). Winter plumage. Taken at Farmoor, Oxon., on September 4th 2016. Winter plumage. Taken at Farmoor, Oxon., on September 4th 2016. 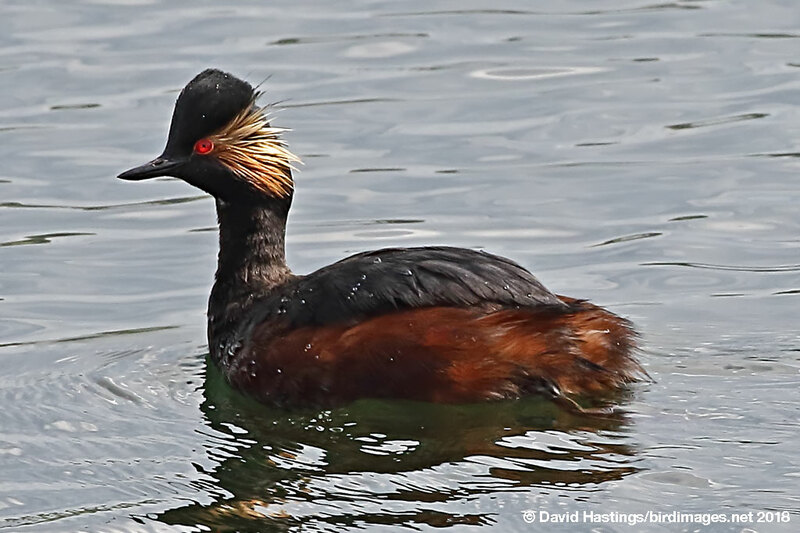 This small grebe has beautiful golden tufts of feathers on its face during the breeding season, contrasting with its black head and neck, and chestnut flanks. In winter it is mostly black and white. Its steep forehead makes its head look 'peaked'. Its bill is slightly uptilted. It breeds in northern Scotland, and winters on reservoirs, gravel pits and estuaries in the east, south and west of the UK. Its breeding habitat is shallow ponds with emergent vegetation. It prefers access to large patches of open water. Individuals dive frequently, searching for insects, crustaceans and small fish. This species is on the UK amber list. There are only 40-60 breeding pairs in the UK, and about 120 birds over-winter here.